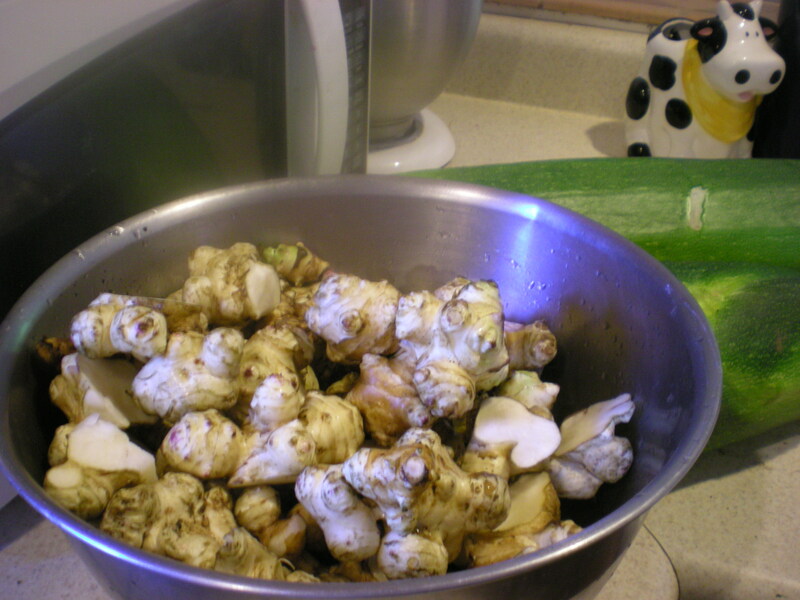 This entry was posted in Harvest, Suburban Homestead and tagged Gardening, Locavore, Sunchokes, sustainable food. Bookmark the permalink. I’d shred the zucchini, spread it out loosely on a parchment lined pan and freeze it. Once frozen, pack it into bags for future use in sauces or casseroles. One that big is probably pretty woody. Excellent idea! I also like to stir shredded zucchini into Fritattas. What percentage of your produce is home grown now? About 99%. I don’t ever buy anything, but Matt will occasionally get something that looks good at the Farmer’s Market (mushrooms this week).